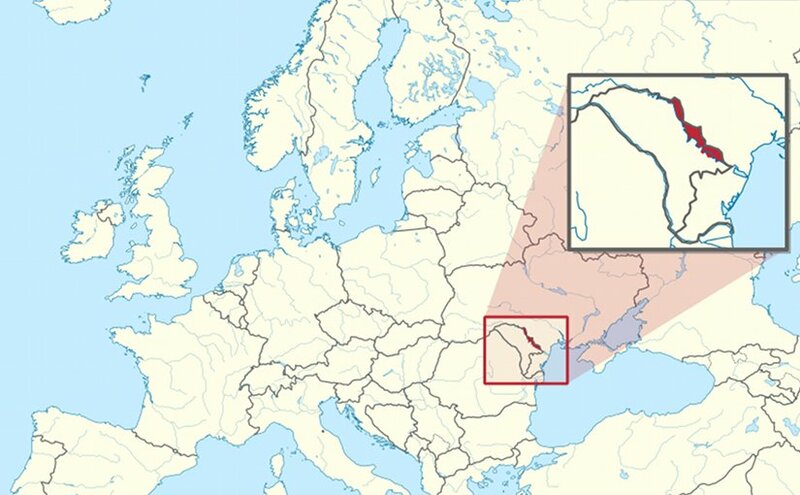 (FPRI) — The conflict in Transnistria is the last secessionist conflict in the post-Soviet space that remains “frozen,” in the sense that unlike in Georgia or Nagorno-Karabakh, both sides agree on the boundary line, and there is no ongoing fighting. Nevertheless, the situation is far from stable. On the one hand, diplomatic processes to resolve the conflict are again underway. All powers involved have met under the aegis of the Organization for Cooperation and Security in Europe (OSCE) and agreed on the importance of confidence-building measures to advance a permanent solution. The OSCE reached an agreement, the “Berlin Protocol,” in 2016 between Chisinau and Tiraspol. It created new confidence-building measures, such as Moldova’s recognition of Transnistrian university diplomas and vehicle registration plates, and ceased both sides’ mutually-imposed telecommunications blockade. This year, after Austria replaced Germany as chair of the OSCE, the agenda has included issues such as land-use rights for Moldovan farmers in border regions. Additionally, Moldovan and Transnistrian leaders, Igor Dodon and Vadim Krasnoselsky, have met twice to discuss these issues since December 2016. However, relations between Chisinau and Tiraspol remain tense. Ukraine and Moldova have intensified their efforts pressure Transnistria to reintegrate into Moldova by using various economic and administrative levers against Tiraspol. In response, Transnistrian authorities increasingly insist that granting the republic full independence represents the only path to conflict resolution. Transnistrian officials are also investing heavily to shape public opinion so that the people are hostile to the Chisinau regime. Almost every month, official events dedicated to the victims of Moldova’s 1990-1992 “full-sized aggression” occur in Transnistria. For instance, in June, Transnistria honors more than 800 victims of the Bendery Tragedy, which was the culmination of the conflict in spring and summer 1992. Considering these developments, one might think it is possible for the parties to preserve the status quo. In fact, the situation on the ground is changing. First, over the past few years, Transnistria has suffered a severe economic crisis. The causes of this crisis are many: a reduction in exports (rolled steel, electricity, textiles), the explicit mismanagement of key state-owned companies, and an increase in gas prices. As a result of these phenomena, from 2015 to 2016, industrial production fell by 6 to 8% annually; exports fell by about 15% annually; and trade turnover decreased by 20 to 25%. Furthermore, the small breakaway republic is highly dependent on foreign trade. About 40% of all foreign currency earnings of Transnistria comes from its electricity exports to the rest of Moldova. In early 2016, Chisinau decided to decrease the procurement price for Transnistrian electricity by about 30%, causing a severe currency crisis in Tiraspol. These negative economic trends have hit Transnistria’s government budget. Since the region’s largest companies have been reducing production, they have also decreased their gas consumption and managed to obtain lower gas prices from the government. However, after the currency crisis decimated Transnistria’s reserves, the budget is now under constant austerity. In 2015, authorities announced that they would delay pensions and salaries to the population. Transnistria’s economic difficulties are complicated by political instability. Since 2009, Transnistrian President Evgeny Shevchuk has been embroiled in an open confrontation with parliament, which is firmly controlled by the Obnovlenie (Renewal) Party. This party serves as the political arm of a local holding company, Sheriff, that monopolizes key branches of the republic’s economy. In December 2016, Vadim Krasnoselsky, former Minister of Internal Affairs and leader of the Obnovlenie Party, won the presidential election with 62 percent of the vote. Interested foreign actors, particularly in Bucharest, Kiev, and Chisinau, closely observed these political and economic developments. They argued that Transnistrian de facto statehood was no longer sustainable and that the breakaway republic continues to exist only due to substantial economic assistance from Moscow. Key regional actors such as Ukraine and Moldova used these circumstances to pressure Transnistria (and thus indirectly to pressure Moscow). Kiev and Chisinau coordinated many of their initiatives. In April 2017, Chisinau spurned Transnistrian authorities and concluded a one-year electricity supply contract with a Ukrainian company rather than the Transnistrian company, MoldGRES. Moldovan authorities concluded the deal despite concerns about the Ukrainian supplier’s capabilities to fulfill the contractual obligations given disruptions in coal supply from the Donbass region. Three months later, Moldovan authorities unexpectedly announced that 70 percent of the contract would return to MoldGRES, even though the Ukrainian supplier claimed to have enough coal at its disposal. 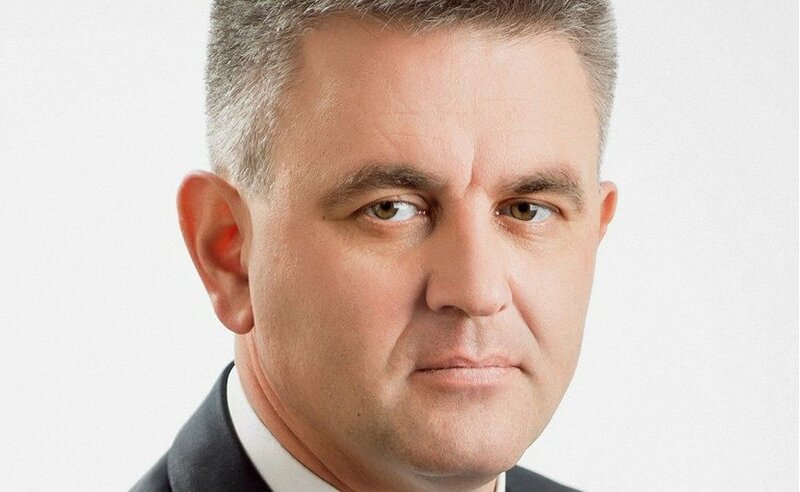 Gheorge Balan, the Moldovan government official responsible for the country’s reintegration, responded to the events by stating that receiving electricity supplies from Transnistria would ultimately help reinforce the confidence-building process between the two governments. At the same time, Ukrainian and Moldovan authorities recently announced plans to establish a customs checkpoint at a Transnistrian segment of their border. The agreement stipulates that joint border control will take place in two stages. For the first six months, Ukrainian and Moldovan officials will exclusively control Transnistrian export operations, which have been run by Moldovan customs since 2006. In the second stage, border control will be extended to include people, vehicles, and, more importantly, all Transnistrian imports. The impetus for this initiative appears to be logistical: Moldova must provide border control that conforms to the standards set by its Association Agreement with the European Union. But for Transnistria, the situation is opaque: if Moldovan customs can control Transnistrian import operations, this arrangement would entail the de facto unilateral reintegration of the Moldovan customs space (that is, reintegration without negotiations with Tiraspol). Subsequently, Moldovan customs would be able to increase revenues by introducing new duties and fees for Transnistrian economic agents. In other words, Moldovan authorities would obtain full control over Transnistria’s foreign trade. To activate this process before the common border control becomes fully operational, Kiev has introduced some restrictive measures against Transnistrian importers. First, Ukrainian authorities announced in 2015 that excisable goods could not be imported to the breakaway republic from Ukrainian territory. Instead, they must first be cleared by Moldovan customs at existing border checkpoints. Then, on May 18, 2017, Ukrainian authorities informed their Transnistrian counterparts that the import of foodstuffs from Ukrainian territory to Transnistria would not be allowed after May 20 without a license from the appropriate Moldovan agency. After July 1, reports emerged of Ukraine’s and Moldova’s intention to prohibit the movement of vehicles with Transnistrian registration plates, despite that both countries previously accepted these plates. On June 8, Moldovan authorities demonstrated that the new measure will be taken seriously by stopping the car of Transnistria’s Foreign Minister and removing its plates because they allegedly did not comply with national regulations. In the end, Transnistrian plates were prohibited only by Chisinau for drivers living officially on the right bank of the Dniester. Nevertheless, further measures in this sphere are not excluded. Ukrainian officials primarily justify these initiatives with security arguments. They argue that Transnistria could host “Russian forces” used to attack their country. Accordingly, they argue, Ukraine should help accelerate Moldova’s reintegration by economic blockade if needed. However, there is little substance to these allegations. Ukraine’s border policies toward Transnistria are one of several economic measures that Kiev currently imposes on Russia to punish the Kremlin for its actions in the Donbass. Kiev has semiofficially articulated that Russia’s “hybrid war” in the Donbass has many fronts; the economic front offers an effective avenue for Ukraine to respond. For Moldovan authorities, pressure on Transnistria serves more as political tool than as part of a coherent strategy to reintegrate the country. With the upcoming 2018 parliamentary elections in mind, Moldova’s incumbent Democratic Party is striving to consolidate support at home and woo allies in the West. Policies such as the recent expulsion of five Russian diplomats and the passage of a law prohibiting “Russian propaganda” advance these aims by drawing Western attention away from the party’s anti-democratic initiatives—such as introducing a bill that would change the electoral system from proportional representation to a mixed system—and toward an artificially constructed “Russian threat.” Authorities further seek to demonstrate to internal audiences that they are striving for national reintegration in a settlement that rules out any power sharing with Tiraspol, an issue that is particularly important for the right-wing electorate. A Chisinau-based think tank affiliated with the ruling Democratic Party published a road map with possible scenarios for the Moldova’s reintegration. None of these scenarios include any true dialogue with Tiraspol. Ultimately, Moldovan authorities have a much less coherent policy towards Tiraspol than their counterparts in Kiev. The aforementioned jumbled decision regarding the electricity supply contract demonstrates this situation. The Ukrainian-Moldovan border checkpoint, set to begin operation on May 30, has yet to receive the necessary Moldovan officials. Despite establishing these border plans, representatives in Chisinau argue that Moldovan laws do not provide a legal basis for stationing Moldovan officials abroad—in this case, on Ukrainian territory. Moldova’s Igor Dodon. Photo by Privesc.Eu Moldova, Wikipedia Commons. Newly elected Moldovan President Igor Dodon has adopted a similar line as Prime Minister Pavel Filip and his cabinet. While maintaining dialogue with Transnistrian leader Krasnoselsky, Dodon supported the creation of the joint Moldovan-Ukrainian checkpoint at the Transnistrian border, speculated that a $15 billion Russian subsidy for Transnistria was siphoned off by local authorities, and accused Transnistrian elites of parasitizing the conflict. 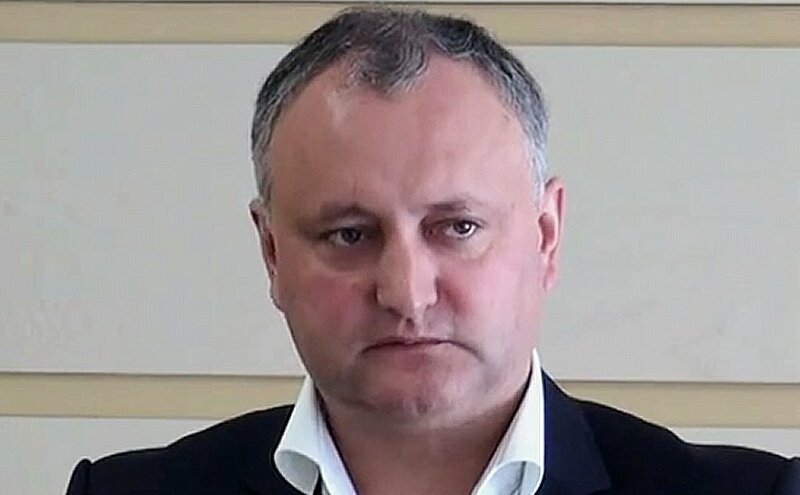 Dodon adopts the same hardline approach to Transnistria reintegration as the Moldovan government, making his position known not only to Moldovan and Transnistrian audiences, but also to Russia. At a recent “5+2” preparatory meeting, the Moldovan president acknowledged that his position on the Transnistrian conflict settlement is fully coordinated with the Moldovan government. Are these new developments strong enough to change the conflict’s status quo? There are three factors that stabilize the current state of affairs. First, Moldova has failed to produce any positive incentives for Tiraspol to want to reintegrate with it. Moldova continues to approach conflict settlement strategies from the standpoint of imposing a solution on Transnistria. This counterproductive mindset is evident in the way that authorities have reduced the image of Transnistria to that of a “separatist” or “Sheriff” republic (referring to the holding company) that only survives because of its widespread smuggling operations and Moscow’s financial assistance. However, smuggling has long ceased to offer a lucrative source of income for Transnistria due to measures undertaken by the European Union and Ukraine to control their borders effectively. With regard to the interests of the Sheriff holding company, it should be mentioned that the company’s assets are predominantly located within Transnistria. These assets include a supermarket chain, a telecommunications company, a winery and brandy producer, a textile producer, a football stadium, the Champion of Moldova football team, a television station, and a luxury hotel in Tiraspol. Accordingly, Sheriff’s chief consideration is control over its property. The same can be said for other Transnistrian elites who would face an unclear status in a “reunited Moldova.” However, in Moldova, where political and economic instability is standard, authorities are not able to provide such guarantees. This dynamic helps to explain Transnistrian authorities’ reticence to concede their de facto statehood despite dire economic circumstances. In this context, Gagauzian autonomy represents an undesirable model for Transnistria because it would not guarantee Transnistrian rights. Second, Russia and key Western players continue to favor the status quo over any revolutionary changes. The Dniester River is one of the frontlines in the current geopolitical confrontation between Russia and the West. Thus, the “patron-client model” describes relations not only between Moscow and Tiraspol, but also between Moldova and the West, particularly the United States. As Russia and the West lack the basic mutual trust necessary to resolve this conflict, the status quo will remain. In these circumstances, local actors will continue to benefit from the global geopolitical confrontation by enjoying political and financial support from their patrons. At the same time, Russia and the West have their primary attention fixated on the conflict in Ukraine. It would be a significant risk for both parties to see the “Ukrainian situation” repeated in Moldova. Nevertheless, this does not mean that parties will not try to alter the status quo for their own benefit. Brussels, for instance, provides technical and financial assistance for the establishment of joint border control at the Transnistrian segment of the Ukrainian-Moldovan border. Brussels hopes that these measures will enable Transnistria’s compliance with Deep and Comprehensive Free Trade Area (DCFTA) provisions, a key element of the EU’s Association Agreement with Moldova. Yet, retaining its preference for the status quo over revolutionary changes, the EU insists on enacting any changes in a “phased approach” to prevent panic and instability in the region. Lastly, Moldova’s hardline stance towards Transnistria impedes any lasting solution to the conflict. As previously outlined, the current situation is particularly challenging for Transnistria. It cannot simply be resolved by increased financial assistance from Moscow. Due to Ukraine’s policy toward the republic, Tiraspol finds itself wholly isolated, both physically and economically. However, the reunification of Moldova and Transnistria, which Moscow—and Tiraspol, despite harsh rhetoric—could support under certain conditions, remains a slim possibility. Much time has passed since Chisinau, Kiev, and even the West were ready to work toward a solution that would consider compromises such as the federalization of Moldova or an extended Russian military presence. For various reasons, the final agreements were never realized, even when Moscow played a constructive role. Today, Moldova, Ukraine, and many political circles in the West have securitized the Russian presence in Transnistria. Their message, therefore, sounds like Russia simply must leave. As a result, Russia will do nothing but stay. *Andrey Devyatkov is Senior Research Fellow, Center for Post-Soviet Studies (Institute of Economy, Russian Academy of Sciences) and Associate Professor, Chair of Regional Problems of World Politics, Lomonosov Moscow State University.